CeFaan Kim has more from Mount Vernon. MOUNT VERNON, New York (WABC) -- It's what you would call a rat infestation. Dozens and dozens - probably hundreds of rats took over several Mount Vernon blocks. 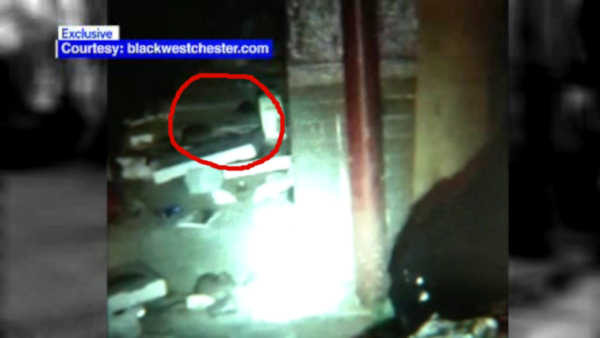 Exclusive video was obtained by Eyewitness News, taken this week on North Bond Street by community activists, who say the rodents roam the streets day and night with no fear. The infestation has gotten so out of control that it now stretches at least three blocks to Oak Street, right across from Firehouse Station 4, and the Hamilton Elementary School. "I'm horrified, because we know rodents travel, and so we're talking about a health and safety and wellness of children. The playground here - the children are playing, they're walking to and from school," says parent Brenda Crump. "I don't want a firefighter, an alarm to come across at night, and one of our firefighters is putting on his gear and stepping into a boot, and it's filled with rats. My concern is the children across the street. The children were going to school, and they were jumping and running in the street, which is also unsafe for them in ongoing traffic," says Kevin Holt of the Uniformed Firefighters Association of Mount Vernon. In the basement of Firehouse Station 4, firefighters say they've seen rats the size of cats. They say the come in through the basement through the broken window downstairs. So who's to blame for allowing the rat problem to get out of hand? Councilmember Andre Wallace says the city. "The mayor should be involved. He's the one who appointed the DPW Comissioner," Wallace says. However, Mount Vernon Fire Commissioner Ernest Richardson says it is Wallace who has been a part of the council for years, and thus, he's a part of the problem. The Commissioner points out Mount Vernon's current mayor just took office this year. "I think it's a little unfair to blame the Mayor for a situation that's been ongoing for years," says Richardson. One thing both sides can agree on? The rat problem needs to be addressed, and children and rodents should not be spending recess together.